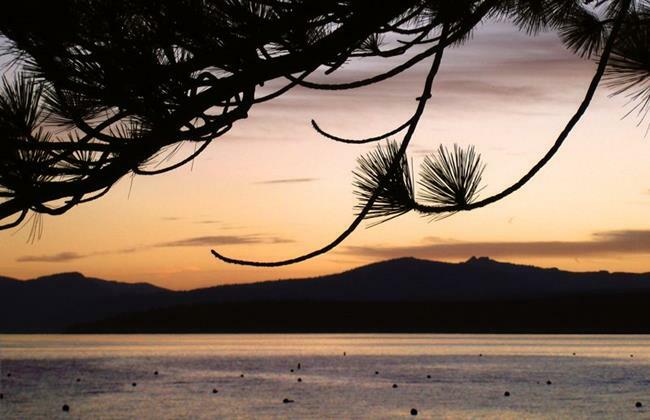 This photograph was made on a fall evening at North Lake Tahoe, on the California side with a Sony W5 digital camera. The Ponderosa pine is very common in the area, along with the Jeffrey pine (which is similar, with larger cones). I emphasized the delicate shape of the pine needles and branches by placing them in the forground, adding interest to the evening sky.